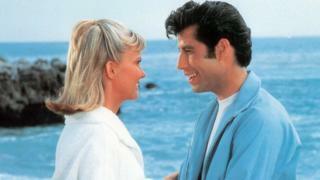 A prequel to the iconic film Grease is being scripted, rumoured to be called Summer Loving. It's expected to explain how main characters Sandy and Danny met, expanding on the story told in the famous song Summer Nights from the 1978 film. Radio 1 Newsbeat has confirmed scripts are being written by John August. He has also written for the upcoming Aladdin remake which is released next month. The soundtrack to Grease - originally a 1971 musical - remains one of the biggest-selling albums of all time. Greased Lightnin' has become a wedding staple and school productions of the show remain popular.